How to Get Rid of Bunions Without Surgery ? Bunion is a Greek word for turnip. The term is nowadays used commonly for bony bumps which are seen growing on the outer side of the foot. Since these bunions are usually red and swollen they are like turnip in their appearance. The article is all about how to get rid of bunions? 2 How to get rid of bunions? 2.1 How to get rid of bunions naturally? How to get rid of bunions? Before knowing the remedies, you must know what these bunions actually are. Bunions are seen commonly in the females wearing high heels, in other people who wear tight shoes and are taking some poor form of exercises. Initially bunions just appear as a tiny outgrowth but if left untreated these bunions can cause serious foot issues and abnormalities of toe along with intense pain. 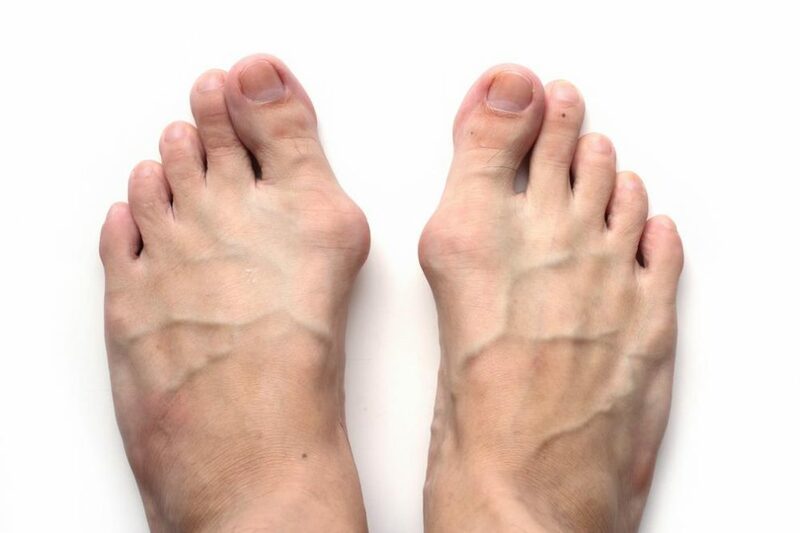 Bunions in medical terms are also known as hallux valgus. These bunions are enlarged and reddish swollen masses. People who wear tight foot wear for a long time due to high pressure on toe are more prone to bunions. Bunions for most of the people make their slow appearance, initially one might feel an inward growth on a big toe whereby the outer side turns puffier and makes the foot look swollen and red in appearance. As this happens, a person feels intense pain while wearing any kind of foot wear, moving and exercising. Bunions can appear in both men and women. Since women normally wear high heels they are more prone to bunions. As high heels are worn, they cause the squeezing of toes and restrict the flow of blood, as this happens the normal motion range of a big toe is disturbed. In a long haul, big toe joint moves out of place. Swelling takes place initially and scar tissues appear and as a result of which the feet’s abnormal positioning is seen. How to get rid of bunions? It is always advised to seek medical supervision as soon as the bunions make their appearance. The early treatment of bunions can produce much better results. However, if left untreated they can cause some serious complications. Some easy measures are there if you are looking for how to get rid of bunions. These measures include the use of roomier foot wear, toe stretching, application of essential oils etc. All these simple measures are for the initially formed bunions. How to get rid of bunions naturally? Can bunions be reversed? Well, take off the unnecessary stress from your big toe, this is the best way to make bunion heal. You can feel much relieved from bunions by selecting a comfortable and roomier foot wear. When the pressure is taken off from the big toe, faster blood circulation takes place and this provides bunions easier and faster way to heal. How to get rid of bunions on pinky toe? Avoid wearing heels for long time and say no to tight foot wear. If you are an athlete and searching for, how to prevent bunions from getting worst. Well simply try wearing sneakers. Sneakers are best shoes one can wear before exercising as always offer some room and hence lesser pressure is there on toes. You can talk to a medical specialist for a better advice regarding foot wear. Remember it is easy to treat bunions initially but if left untreated they might turn complicated and bunion removal surgery cost is far too high as well. If your shoes are tight, you can make use of stretcher to make them a bit stretched to ensure that there is lesser pressure on the toes. Looking for how to get rid of bunions naturally? This is the simplest thing which you can do. How to shrink bunions naturally? Maintain a normal body weight as much weight can cause pressure on toe. You can use a gel filled pad for the protection of bunion so that it shrinks naturally. How to get rid of bunions, home recipes are there which work wonders. Apply ice to the affected joint for half an hour, keep your toe in a position upper to the heart. Make use of bunion pads, orthotics or some arch supports behind the toe joint. Before this procedure, make it sure that pads are sufficiently reducing pressure not simply constricting the toes, as if toes are constricted they can make the condition worst. How to prevent bunions from getting worst? Ensure that there is little to no pressure on a big toe. You can get a bunion aid from local pharmacy. These bunion aids consist of adjustable toe strap with a hinge for the realignment of a big toe. This enables to straighten the toe and reduce pain. Along with it, a padded hinge splint is there with soft gel cushion for the protection of inflamed tissues. Near its base an automatically curved and dual strapping system is there which supports the arch of metatarsals. How to get rid of bunions? 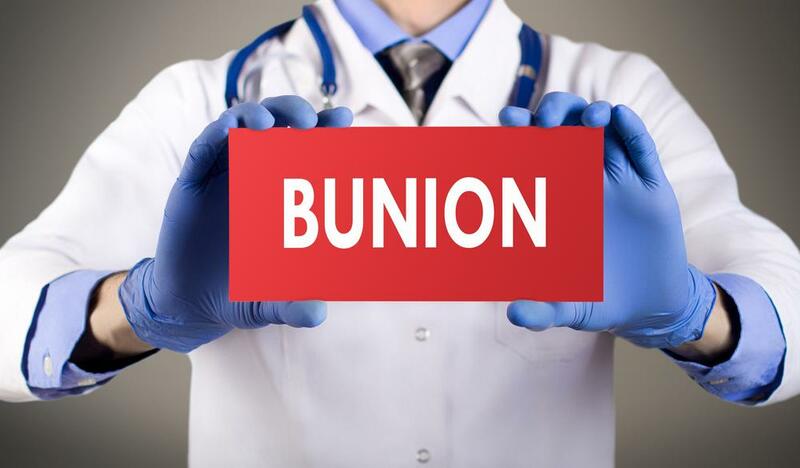 Make use of bunion aid for better healing. How to get rid of tailored bunions? If you are experiencing intense pain, take a bucket of warm water and add up to six tablets of aspirin in it. Soak your feet inside the warm aspirin containing water. The method will provide immediate relief. How to get rid of bunions naturally? Well, massage the bunions regularly with the help of medicated analgesic gels or essential oils. Warm coconut or essential oils have pain relieving properties as well, they also increase blood circulation, and hence massaging the bunions is helpful as well. Bunions are generally caused by wearing any kind of foot wear which causes intense pressure on the big toe. These bunions must be taken serious in the early stages otherwise one might expect some serious complications.